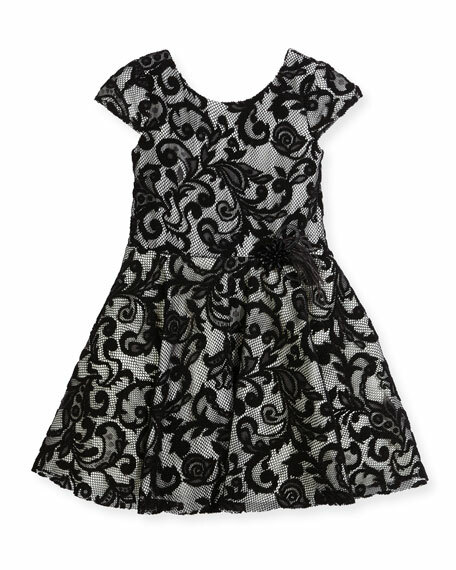 Zoe dress with contrast lace overlay. Rhinestone and feather trim at waist. For in-store inquiries, use sku #2344130. 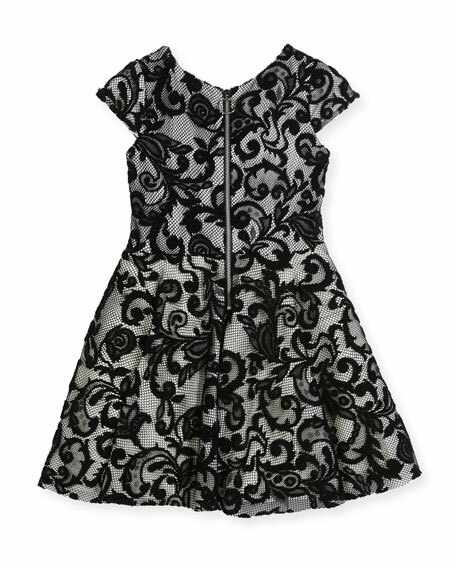 Halston Heritage lace dress with dramatic skirt. Round neckline; mesh V-neck illusion. Short cap sleeves. Sheath silhouette. Hidden back zip. Dramatic ruffle skirt. High-low hem. Polyester. Dry clean. Imported. Likely "Shayna" ruffle bodice overlay cocktail dress with back vent. Jewel neckline. Sleeveless. Sheath silhouette. Knee length. Straight hem. Concealed back zip; hook-and-eye closure. Polyester/rayon/spandex. Imported. Exclusively ours. 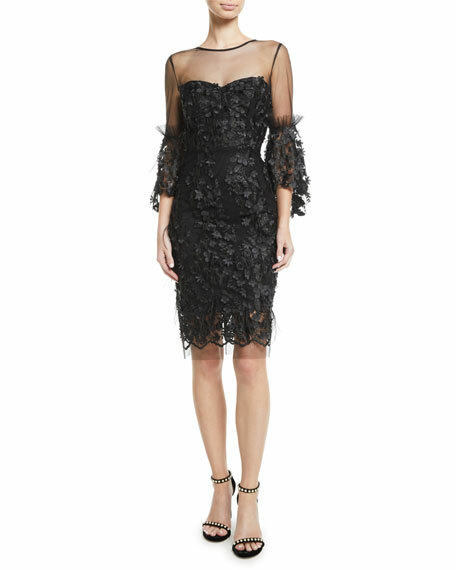 Marchesa Notte corded lace and dotted tulle dress with embroidery and 3D flowers. 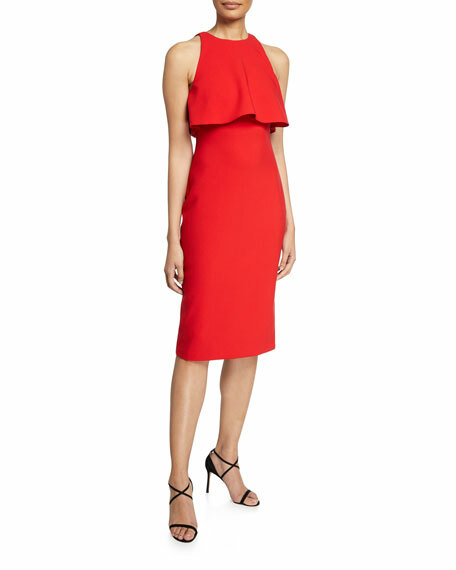 V neckline; sweetheart illusion. Cap sleeves. Sheath silhouette. Knee-length. Scallop lace hem. Hidden back zip. Polyester. Imported.